Hey everyone! Today's post is a little different, as it's dedicated to my wonderful friend Emily of Very Emily, who's been going through a tough time recently and we, her blogging friends, were invited by Sarah (Chalkboard Nails) to take part in 'Hugs for Emily', where we recreate one of Emily's designs. I've raved about how fantastic I think Emily is before, but she really has done so much for me, in blogging and in life, I'm proud to call her my friend and I wish there was more I could do than paint my nails to help relieve her problems. 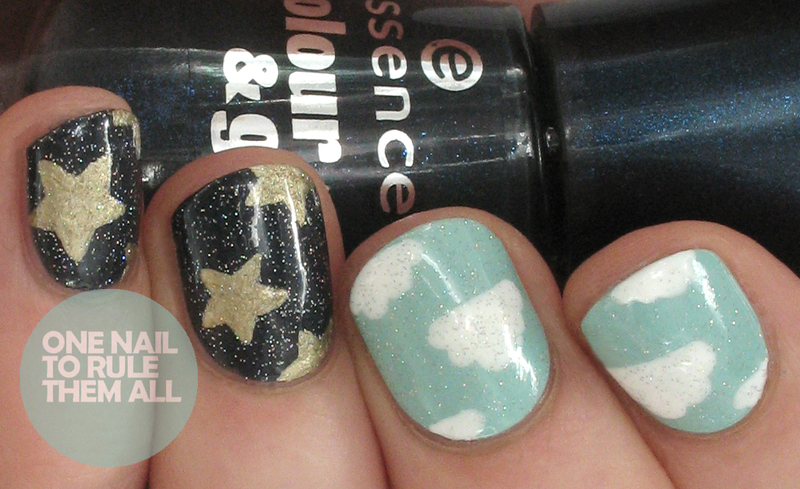 I decided to recreate this clouds and stars design of Emily's. I really loved the combination of bright and dark colours, and the addition of glitter. 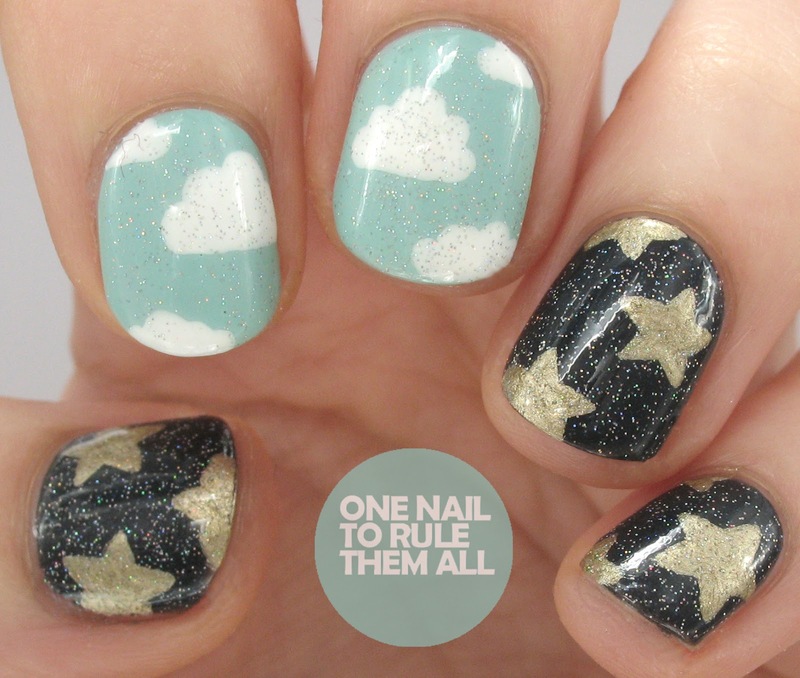 It's cute and simple, but also looks fab. Emily's original design was done using cut out nail vinyls, but as I don't own them I had to freehand them and they don't look quite as perfect obviously! Please head over to Emily's blog if you don't know who she is and show her some support. She's a great person, and to top it all off, she also creates fantastic nail art, what else do you need? What else do you need indeed. I love your recreation!